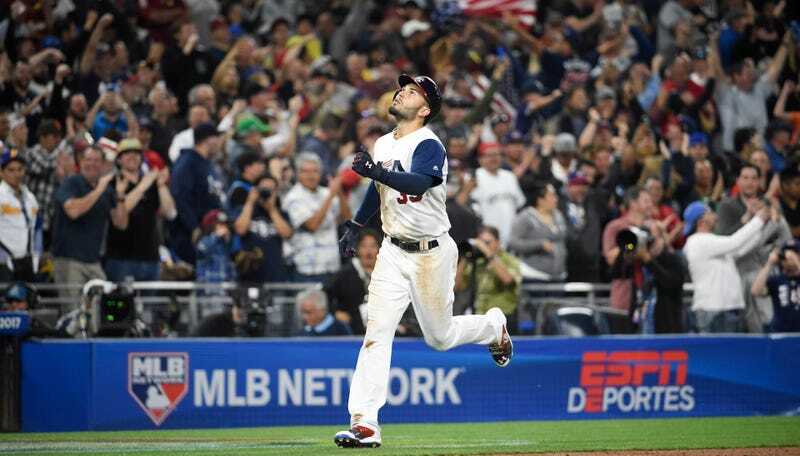 Team USA hit two late homers to beat Venezuela 4-2 in pool play at the World Baseball Classic. In the top of the seventh, Venezuela’s Rougned Odor crushed a monster one-run homer off Team USA’s David Robertson to give Venezuela a 2-0 lead. 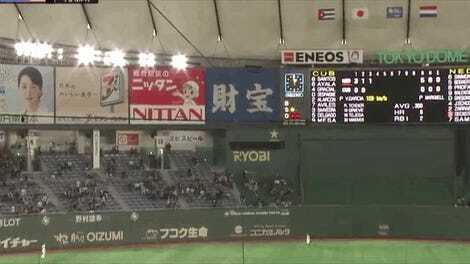 Then the U.S. got one back in the bottom of the seventh on a sac fly, and in the eighth inning, Adam Jones hit a massive dong of his own to center field to tie it up. Two batters later, Eric Hosmer got in on the fun with what ended up being the game-winning hit. Next, the U.S. plays Puerto Rico on Friday at 10 p.m. ET.